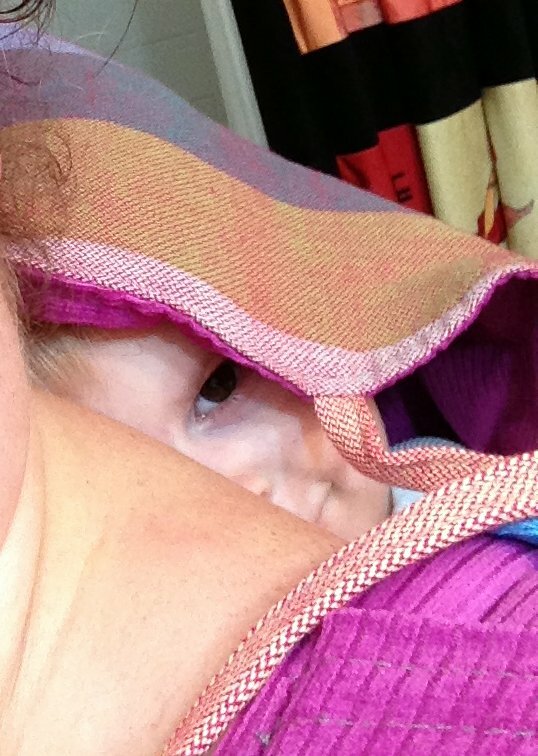 It’s been a while since we did a babywearing post, and I thought I might feature some of our different carriers from time to time – show off my stash! 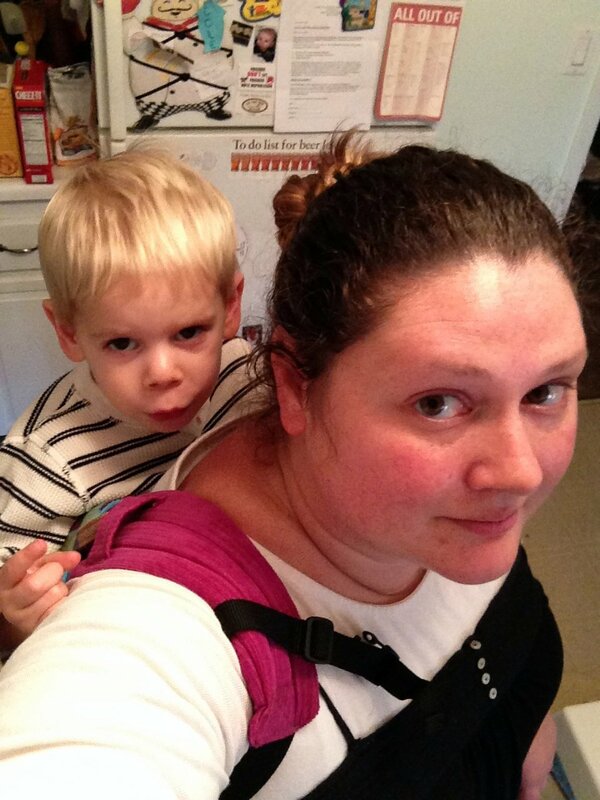 Cole is sadly beginning to outgrow some of our carriers – our favorite mei tai doesn’t really support him knee to knee any more, and he is a bit too heavy for most of our ring slings. 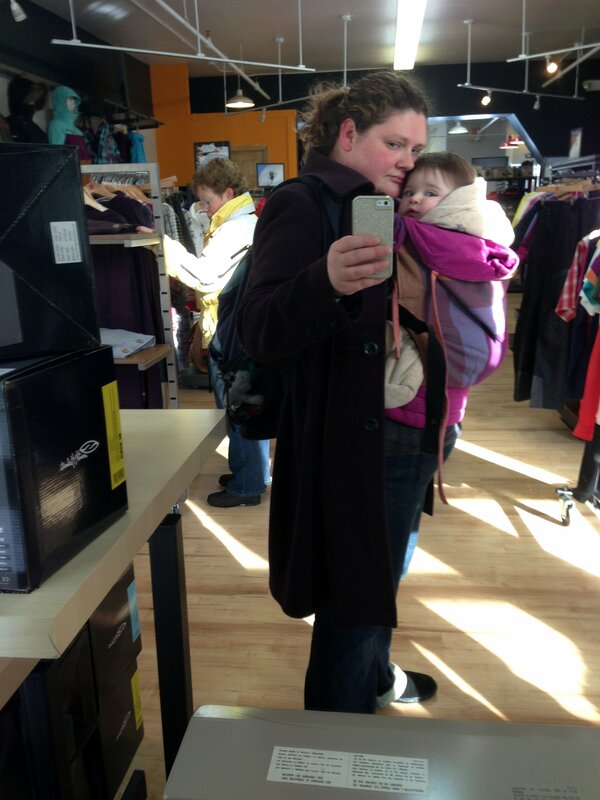 I still wear him relatively frequently, though, and Lulu will likely be his size at a younger age, so I set out to look for a larger size carrier. I wanted the option of a back carry. 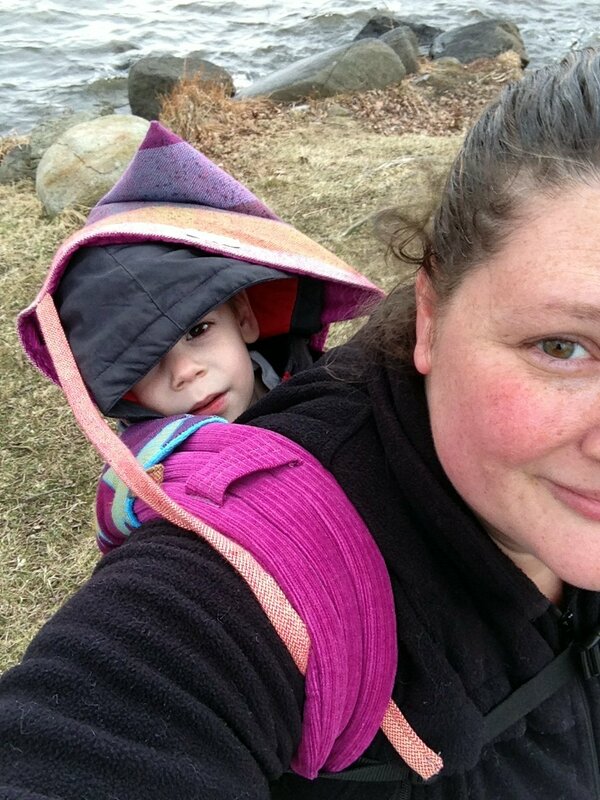 I love to snuggle with a squishy baby forward facing in, and a hip carry rocks for short amounts of time, but for regular longer-term use, back carries are what we go for these days. Cole wanted a hood. He likes to snuggle in and “sleep” on me, and loves to be able to block out the outside world for a few moments. I wanted “pretty.” Most of our stash is hand-me-down or boyish, and I wanted something a little more fun. 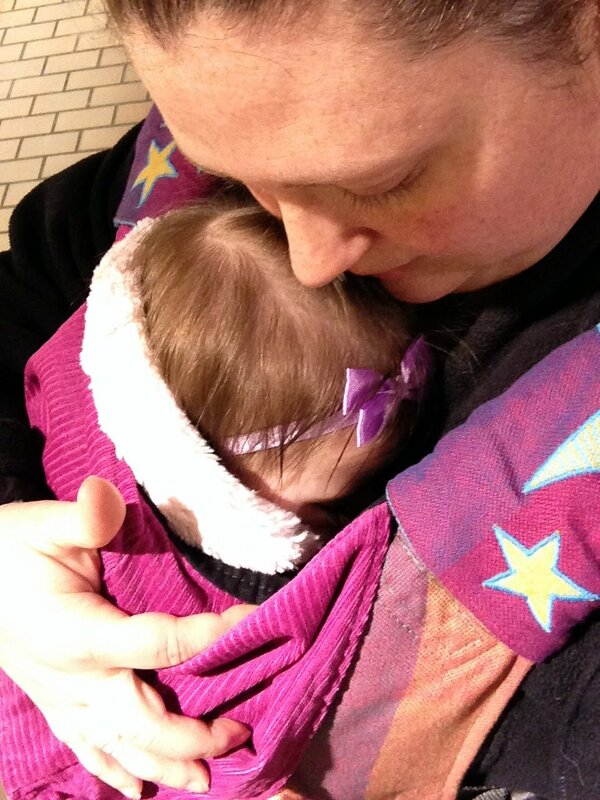 We needed toddler+ sized. Cole has long since left infancy behind him, and Lulu isn’t going to start shrinking, so we needed something to accommodate larger wearees. This is not our exact carrier (you’ll see ours in a second), but it’s a stock picture of one like ours. 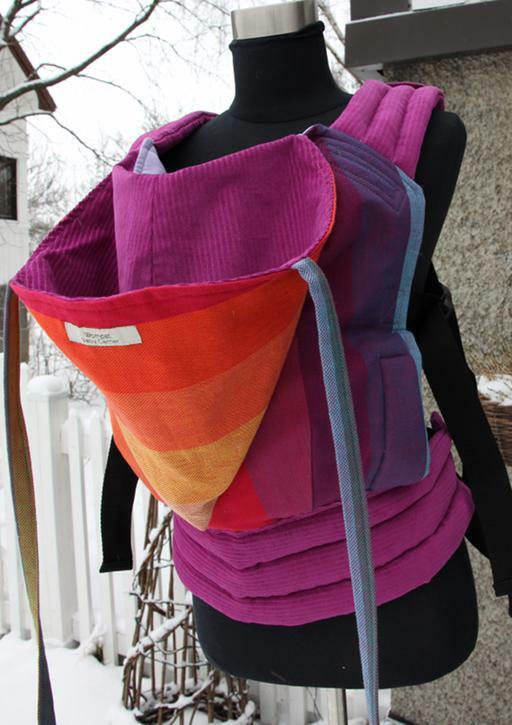 It is a toddler sized soft structured carrier with a Girasol Earthy Rainbow panel and purple corduroy straps. Maya and Matt got it for me for my birthday this year, and it has rapidly become Cole’s favorite carrier, which I bought from keepbabyclose.com/best-baby-carrier. We tried it out in the kitchen as soon as we got it. Cole had to test drive the hood. 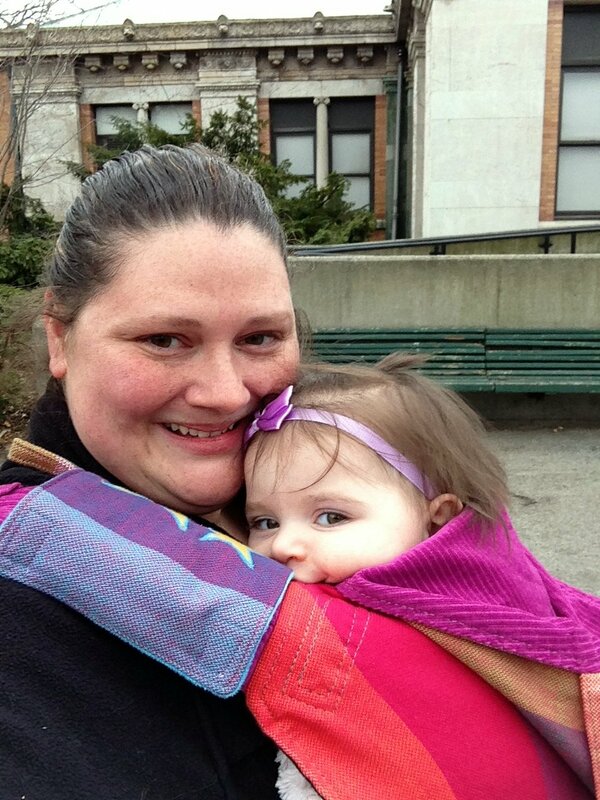 Our Wompat was a little big for Lulu back in December, but it worked well on top of all of our layers after we were bundled up. The hood came in handy the other day when we went for a walk and it unexpectedly started raining. 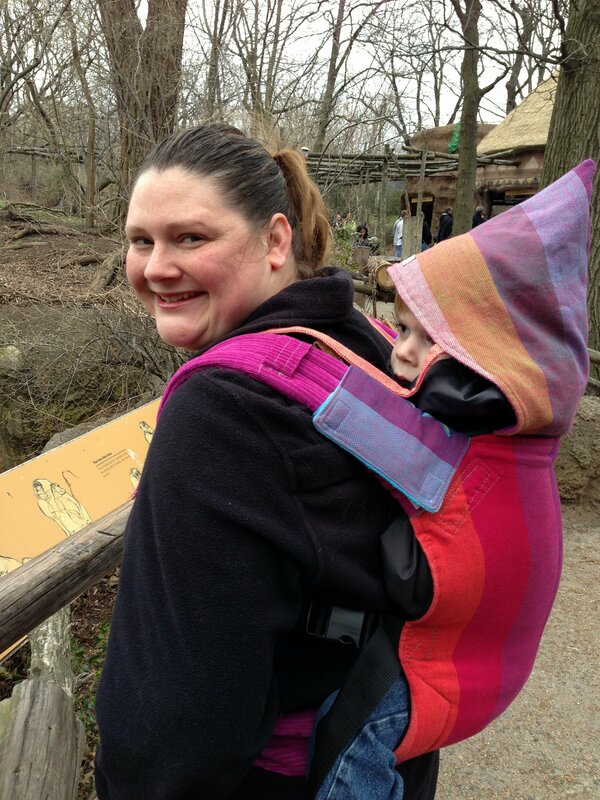 At the zoo – check out that knee to knee seat! But SO comfy for a snuggle and a nap. How do you find the wompat’ padding on the straps compared to a Tula?